The reason for the FBI’s renewed interest had to do with an adviser to the Trump campaign—Carter Page—who had been in contactwith Stefan Halper, a CIA and FBI source, since July 2016. Halper arranged to meet with Page for the first time on July 11, 2016, at aCambridge symposium, just three days after Page took a trip to Moscow. Speakers at the symposium included Madeleine Albright, Vin Webber, and Sir Richard Dearlove, the former head of MI6. Ohr, one of the highest-ranking officials in the DOJ, was communicating on an ongoing basis with Steele, whom he had known since atleast 2006, well into mid-2017. He is also married to Nellie Ohr, an expert on Russia and Eurasia who began working for Fusion GPS sometime in late 2015. Nellie Ohr likely played a significant role in the construction of the dossier. Another example of this behavior can be seen from an instance when Perkins Coie lawyer Michael Sussmannleaked information from Steele and Fusion GPS to Franklin Foer of Slate magazine. This event is described in the House Intelligence Committee’s final report on Russian active measures, in footnote 43 on page 57. Foer then published the article “Was a Trump Server Communicating With Russia?” on Oct. 31, 2016. The article concerns allegations regarding a server in the Trump Tower. Chalupa’s meetings with DNC and Ukrainian officials would continue. On April 26, 2016, investigative reporter Michael Isikoffpublished a story on Yahoo News about Manafort’s business dealings with Russian oligarch Oleg Deripaska. It was later learned from a DNC email leaked by Wikileaks that Chalupa had been working with Isikoff—the same journalist Christopher Steele leaked to in September 2016. Manafort would later be indicted for Foreign Agents Registration Act violations that occurred during the Obama administration. Perkins Coie appears to have also been acting as a conduit between the DNC and the FBI. Documentssuggest that Sussmann was feeding information to FBI general counsel James Baker and at least one journalist ahead of the FBI’s application for a FISA warrant on the Trump campaign. 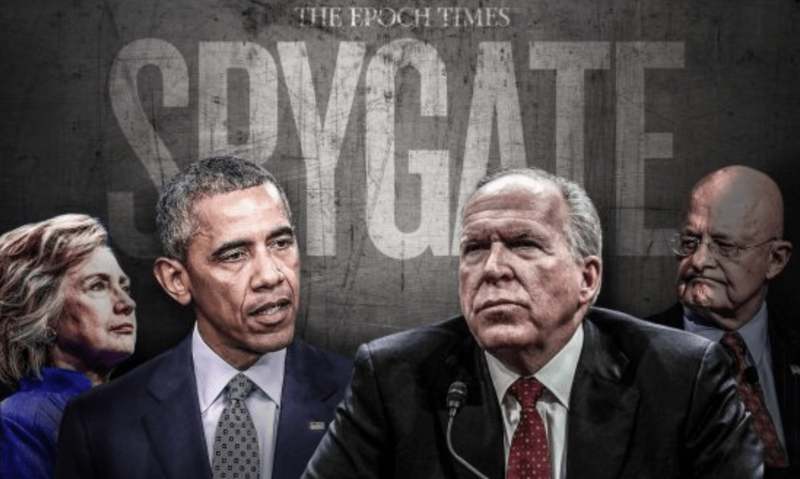 The information contained within both articles likely came via felony leaks from James Wolfe, former director of security for the Senate Select Committee on Intelligence, who was arrested on June 7, 2018, and charged with one count of lying to the FBI. Wolfe’s indictmentalleges that he was leaking classified information to multiple reporters over an extended period of time. The Steele dossier was fed into U.S. channels through several different sources. One such source was Sir Andrew Wood, the formerBritish ambassador to Russia, who had been briefed about the dossier by Steele. Wood later relayed information regarding the dossier to Sen. John McCain, who dispatched David Kramer, a fellow at the McCain Institute, to London to meet with Steele in November 2016. McCain would later admit in a Jan. 11, 2017, statement that he had personally passed on the dossier to then-FBI Director James Comey. DOJ National Security Division (NSD) head John Carlin filed the government’s proposed 2016 Section 702 certifications on Sept. 26, 2016. Carlin knew the general status of compliance review by Rogers. The NSD was part of the review. Carlin failed to disclose a critical Jan. 7, 2016, report by the Office of the Inspector Generaland associated FISA abuse to the FISA Court in his 2016 certification. Carlin also failed to disclose Rogers’s ongoing Section 702 compliance review.